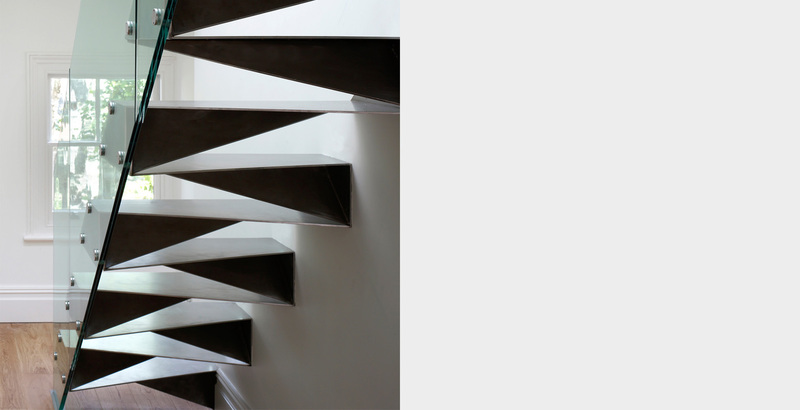 This dramatic stainless steel stair has recently been completed for a private client in South London. 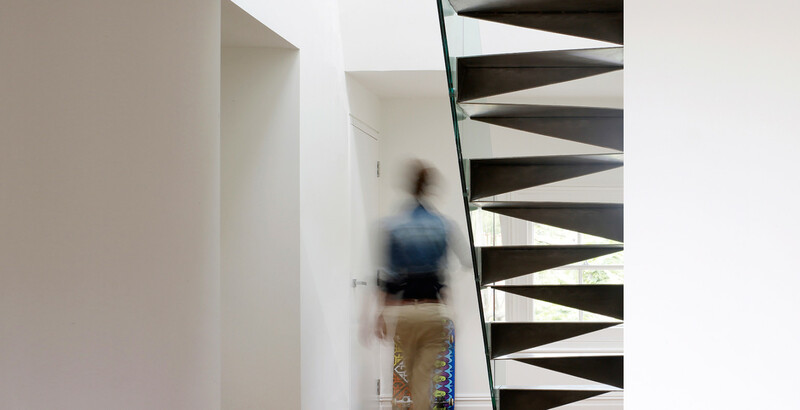 The stair sits within a double-height hallway which is the centrepiece of a domestic refurbishment to an existing Victorian property that amalgamates two flats into a single duplex unit. 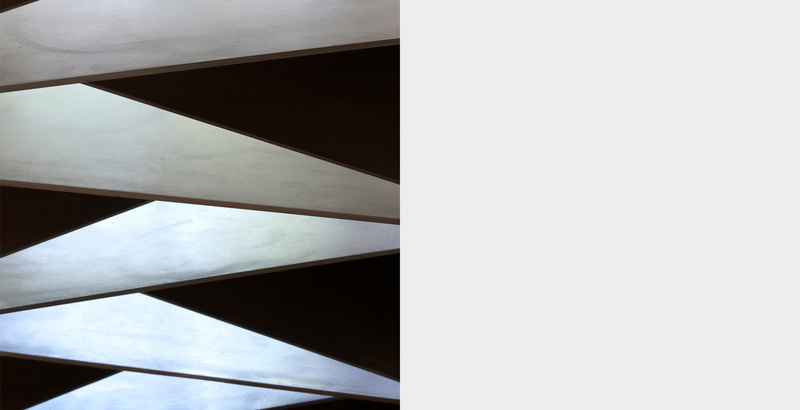 The stair is created from a complex geometry of folded triangular facets which appear to float effortlessly within the space. 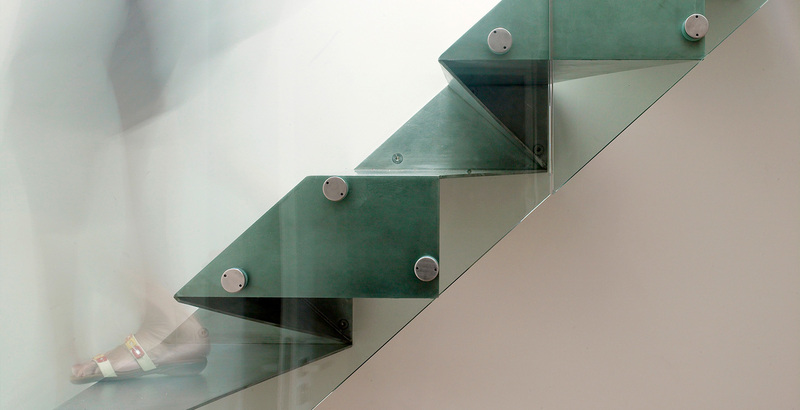 The stair has been conceived as a sculptural origami object folding up through the space. It is made of 6mm thick brushed stainless steel, pre-welded into three sections prior to being erected on site.